This month Steven Nadler, a Pulitzer Prize finalist and author of the new Jewish Lives biography Menasseh ben Israel: Rabbi of Amsterdam, will answer 4 questions about the Jewish experience. A preeminent Russian revolutionary figure and a masterful writer, Leon Trotsky led an upheaval that helped to define the contours of twentieth-century politics. "The masses go into a revolution not with a prepared plan of social reconstruction, but with a sharp feeling that they cannot endure the old regime." Each month we'll ask a preeminent Jewish thinker 4 questions about the Jewish experience. Gershom Scholem pioneered the study of Jewish mysticism as a legitimate academic discipline. He moved to Palestine in 1923 and participated in the creation of the Hebrew University, where he was a towering figure for nearly seventy years. "A mystic is a man who has been favored with an immediate, and to him real, experience of the divine, of ultimate reality, or who at least strives to attain such experience." Get to know the eccentric, colorful life of the glamorous art collector in the BBC documentary "Peggy Guggenheim: Art Addict," and enjoy a cameo from Jewish Lives author Francine Prose. Steven J. Zipperstein is the Daniel E. Koshland Professor in Jewish Culture and History at Stanford University. He is the author and editor of eight books including, most recently, Pogrom: Kishinev and the Tilt of History. Zipperstein has been awarded the Leviant Prize of the Modern Language Association, the Judah Magnes Gold Medal of the American Friends of the Hebrew University, and the Koret Prize for Outstanding Contributions to the American Jewish community. He is also a series editor of the Jewish Lives biography series. We're thrilled to share with you a guest blog post by Professor Barry W. Holtz, author of the Jewish Lives biography Rabbi Akiva: Sage of the Talmud. In this guest blog post, Professor Holtz will share his insights on what these four prominent Jewish figures have in common, and how their lives and legacies illuminate the Jewish experience. It was fortunate indeed that a few days before I was interviewed for the livestream broadcast of the Jewish Lives Book Club back in May, I had had a conversation with Ethan Witkovsky, the Assistant Rabbi of the Park Avenue Synagogue in New York City about one particular question he was thinking of asking me. Now, I knew that Ethan was not out to stump me. After all, he had been my student when he was in rabbinical school and a great favorite of my children from his days working at Camp Ramah in New England. So he had floated that trial balloon during our discussion in advance of the evening at his synagogue. In fact the interview was moving along smoothly that night. I had, after all, done a number of speaking engagements in various synagogues and JCCs since the book was published. I had even spoken at the National Yiddish Book Center where I tried to relate the stories of Akiva to the much later tradition of storytelling in (mostly secular) Yiddish literature. I offered a few self-deprecating and humorous remarks as I desperately tried to refocus on an answer: Hmm, Einstein, Spielberg, Rabin, Akiva: one born almost 2000 years ago; one born toward the end of the 19th Century; one born toward the beginning of the 20th Century; one born a few months before my own birthday. No connection there. One who escaped persecution to live out his life universally admired, dying at peace in Princeton New Jersey; one acclaimed throughout the world for both his work and his philanthropy, still alive and still active; one who was cruelly executed by a vicious oppressor for teaching Torah; and one, a leader of his people, a warrior and a peace-maker, murdered by one of his own citizens out of hatred and fear. Not much of a similarity there. It was at that moment that my memory of the previous conversation with Ethan clicked in. At that time, without the pressure of being in front of a large audience, the answer to the question was clear to me and I was able to pull my answer out of my memory bank. I suggested that you could see each of them as representing a different version of what it means to be a Jewish hero: Einstein stood for the heroism of the mind, in his case scientific intelligence. Einstein used to go by the common epithet, “the smartest man in the world.” And he was a figure of great pride for Jews throughout the world, particularly after the Holocaust. In twentieth century America his rivals might only have been Louis Brandeis, Jonas Salk, and, of course, Hank Greenberg! If Einstein is the hero of the mind, Spielberg is the hero of artistic imagination. Arguably the greatest film director of all time and certainly the most successful, the very range of Spielberg’s imaginative oeuvre is astonishing: the fantasy of “ET,” the adventure of “Raiders of the Lost Ark,” the historical depth of “Lincoln” and “Saving Private Ryan,” the terror of “Jaws” and, of course, the power of “Schindler’s List," and these films only touch the surface of his output. On top of that, Spielberg’s enormous philanthropic efforts following “Schindler’s List” also made him a hero to many Jews. Rabin, is in a sense the obvious traditional kind of hero. For many Jews his leadership of Israel’s Defense Forces during the 1967 war sealed his image as a hero in warfare, but his move as Prime Minister to reach out to find a lasting peace with Israel’s Arab neighbors marked his transition from one kind of hero to another. His death, at the moment in which peace seemed like it might finally be possible, shattered the hopes of many Jews around the world. And the fact that he was assassinated by a Jew, a religious Jew at that, made his life story become almost that of legend. It can be argued, I believe, that this way of reading influenced Jewish consciousness for millennia, even for secular Jews after the Jewish Enlightenment begun around 150 years ago. It may be summed up in the Yiddish phrase a yiddishe kopp, a Jewish “head.” But Akiva was more than that. He was a model of spiritual depth, admired by Jewish mystics for his profound connection to God and the depth of his prayer life. And of course he too died a martyr’s death, modeling what it meant to be a hero with tremendous courage. And so in the end I think it is hardly far-fetched to think of these four personages as exemplifying what Jews have admired throughout the ages: mind, imagination, courage and spirit. All of them heroes each in their own way. Jewish Lives now ships to everywhere in the world! Click the links below to shop for books in your region. One of the three biblical patriarchs, Jacob occupies the Jewish imagination as a righteous trickster. His sons represent the 12 tribes of Israel, and he is best known for a series of renowned struggles with his brother Esau, with his father-in-law Laban, with an angel, with his wives, and with his own sons. Each month we'll ask a preeminent Jewish scholar 4 questions about the Jewish experience. Anita Shapira is professor emerita at Tel Aviv University, where she previously served as dean of the Faculty of Humanities and held the Ruben Merenfeld Chair for the Study of Zionism. 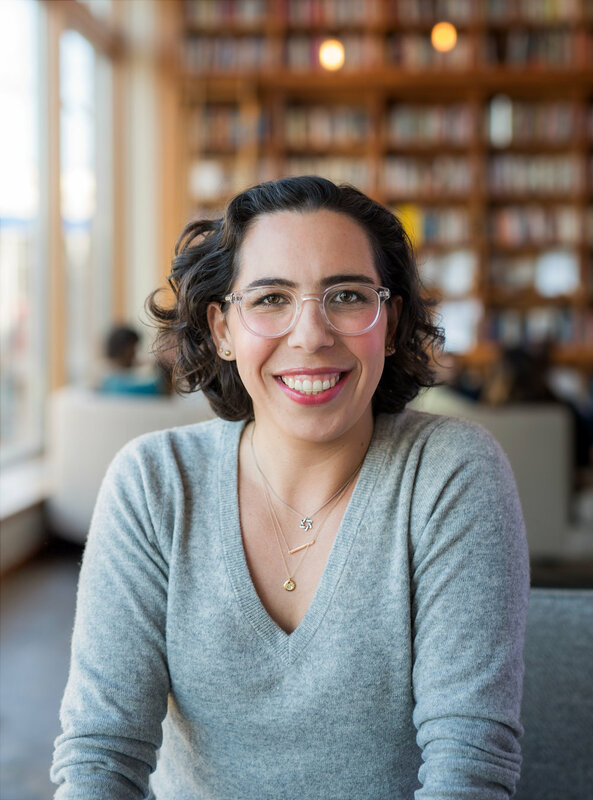 Her previous books include the Jewish Lives biography Ben-Gurion: Father of Modern Israel, and Israel: A History, winner of the National Jewish Book Award. Anita is the Israel Prize laureate of 2008, and she lives in Tel Aviv. We're thrilled to share with you a guest blog post by Robert Bank, President and CEO of the American Jewish World Service (AJWS), about how Harvey Milk’s legacy continues to inspire the Jewish commitment to justice. It is difficult to imagine the contours of my life without the influence of one of my heroes: Harvey Milk, a social justice giant and the first openly gay elected official in California. I immigrated to the United States from South Africa in 1977, one year before Harvey’s assassination. As a young Jew who was just coming out as gay, I was deeply inspired by Harvey’s courage, confidence and secure sense of self as an ‘out-and-proud’ gay Jewish man, unafraid to speak truth to power. These powerful connections with Harvey’s life story came back to me in recent weeks while reading a new and very engaging biography of Harvey Milk by Lillian Faderman. 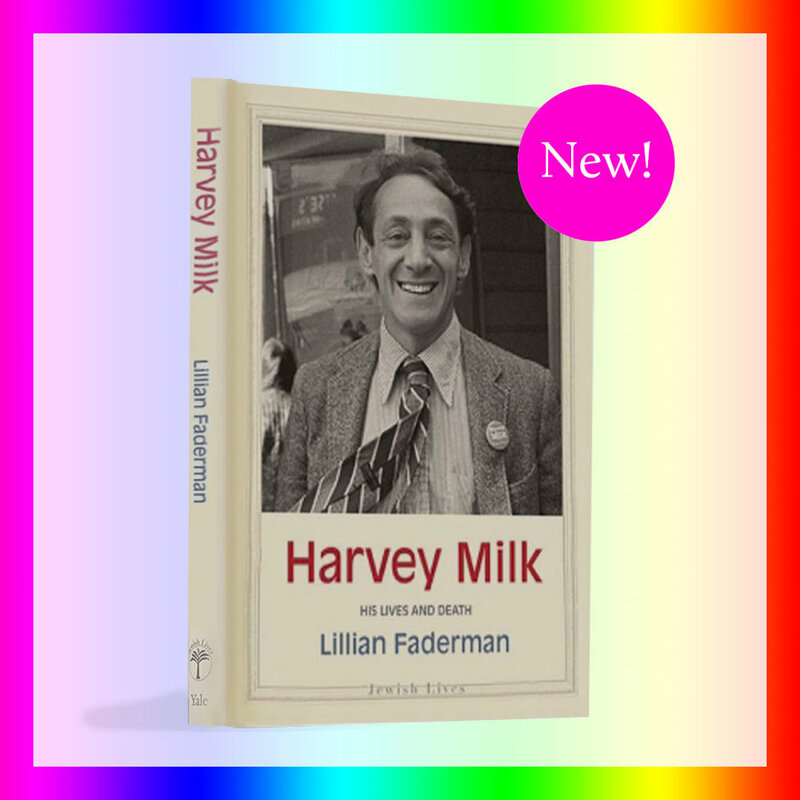 Her book thoughtfully explores Harvey’s life, legacy and activism in relation to his “otherness” as a gay Jew. Today, Harvey’s legacy is palpably alive in my work. As President and CEO of American Jewish World Service—a global human rights organization inspired by the Jewish commitment to justice, I have the good fortune to meet and work with advocates for LGBTI rights in Africa, Asia, Latin America and the Caribbean. When I meet these and other brave advocates we support, I often think about what it takes to make an enduring difference for people who are silenced or rendered invisible. What must we do to ensure that people are treated with dignity? How can we work with others who may not see eye-to-eye with us on every matter? When we face unexpected setbacks, how can we lead with resilience? Here are five lessons that Harvey taught me about leading for a better world, which still inspire me every day. 1. Be authentic. Be yourself. In the 1940s, ‘50s and ‘60s, when anti-Semitism still held sway over many institutions and communities in the United States, and when many American Jews muted their religious and cultural identities to protect themselves, Harvey proclaimed his Jewishness with pride. Similarly, he knew that ending homophobia would happen only when gay people dared to live openly. “I know that it is hard and will hurt,” he acknowledged, “But come out to your relatives, friends, neighbors, and fellow workers; to the people who work where you eat and shop... Once and for all, break down the myths, destroy the lies and distortions.” In my work with LGBT rights activists in the developing world, I know that living openly requires tremendous courage —often at great risk to the safety of those who are open about who they are and whom they love. But I have learned from Harvey—and from brave activists in Uganda, Haiti, Thailand and elsewhere—that change is only possible if we live our own truths. When Harvey first ran for the San Francisco Board of Supervisors, he was the owner of a camera shop and had no experience in local politics. And yet, he cared about human rights, recognized the injustices in his community, and wanted to help people who were suffering. I have long admired that Harvey leapt into the unknown world of political campaigns, lost several elections, and kept trying until he finally won. In today’s struggles for human rights here and around the world, barriers to progress often feel insurmountable. But I have learned from Harvey and many other advocates that we don’t know what we can achieve until we give it our all. 3. Build relationships across lines of difference. Throughout his political career, Harvey championed many progressive causes. In doing so, he built a constituency that was broader than the gay community, which generated support for LGBT people and other minorities whose interests were often ignored. He frequently held meetings and rallies with people who were considered “outsiders,” including the poor, the elderly, and people of color. Faderman writes, “He had a knack for making whomever he was talking with feel like they had 100 percent of his attention… that whatever they had to say was the most interesting thing Harvey could possibly be listening to.” I continue to be inspired by how Harvey sought to liberate everyone, not just LGBT people, from oppression. And I strive to emulate his practice of deep listening when building relationships with people whose identities are different from my own. When police in San Francisco were violently harassing gay men in the 1970s, Harvey wrote an open letter to the City of San Francisco Hall of Justice, a Superior Court in California, using a trope that would become central to his future writings and speeches. He argued that ignoring police brutality against gay men in San Francisco at that time was dangerously similar to ignoring Nazi brutality against Jews in Germany in the 1930s. He argued that even San Franciscans who disdained LGBT people needed to oppose police brutality because if they didn’t, they would “one day find that they, too, are becoming victims of a police state.” For me, as a Jew who grew up in apartheid South Africa and whose family members battled racisim, I greatly admire how Harvey, like my relatives, understood the lessons of Jewish history to advocate for others who experienced discrimination and state-sanctioned violence in a very different context. “I know that you cannot live on hope alone, but without it, life is not worth living,” Harvey declared to a crowd during one of his political speeches. “You, and you, and you, and you—you have to give people hope.” While uttering these words, he pointed to multiple people in the audience to convey that each and every person has a responsibility to shape a better future. Many of the LGBTI and human rights activists my colleagues and I support in the developing world today have been victims of horrific brutality, political conflicts, and disasters. And yet, they remain hopeful and continue to work for justice against unfavorable odds, reminding me that if we persevere, we will change people’s lives for the better. Harvey’s unwavering optimism is a key ingredient for building a world we can all be proud of. I am committed to honoring Harvey’s legacy each and every day in my work for justice and human rights. My own life, and the lives of countless others, have been immeasurably enriched by Harvey’s courage. May his memory continue to be an inspiration to us and generations to come to fight for the dignity and rights of every person. Robert Bank is the President and CEO of American Jewish World Service. Inspired by the Jewish commitment to justice, American Jewish World Service (AJWS) works to realize human rights and end poverty in the developing world. Learn more at www.ajws.org. We're celebrating with FREE SHIPPING all month! May is Jewish American Heritage month, and we're celebrating the exceptional lives of Jewish Americans! Get FREE SHIPPING on all Jewish Lives books + collections, only at JewishLives.org. Watch the cast of the Manhattan Theater Club production of Lillian Hellman's Little Foxes explore the play's characters and the brutal ways they clashed. Learn more about the audacious playwright Lillian Hellman and her theatrical legacy with Jewish Lives. Hear from Jewish Lives series editor and author Anita Shapira, Jewish Lives author Ambassador Itamar Rabinovich, Nicole Krauss, Elliott Abrams, and more at a day-long conference on Sunday, June 10th, featuring discussions about Israeli society and politics as well as relations between Israel, America, and the Jewish diaspora. Learn more about this event at cjh.org/israelat70. 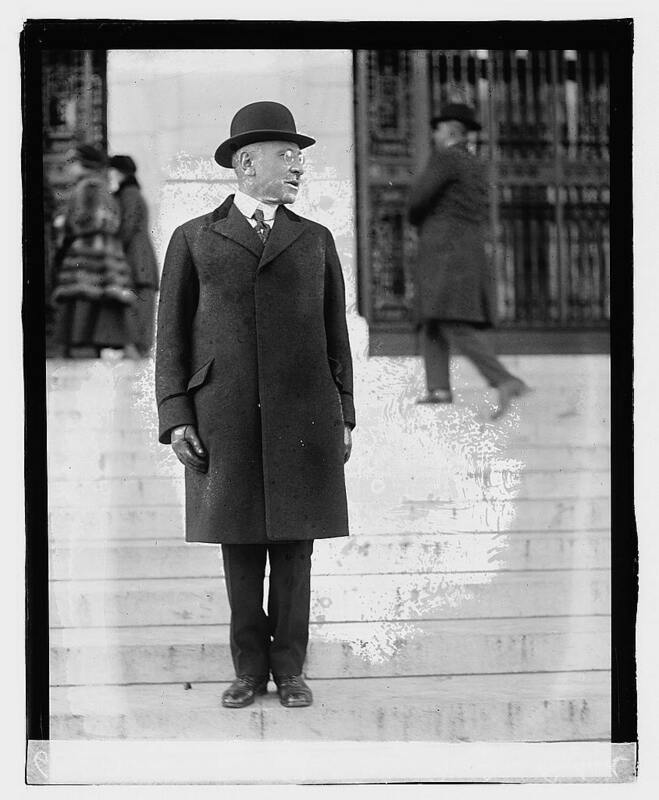 Rosenwald rose to meteoric wealth at the helm of Sears, Roebuck. Yet his most important legacy is the pioneering changes he introduced to the practice of philanthropy. Own a baseball fan's dream glove with Hank Greenberg art by Sean Kane, and learn more about the legendary Hebrew Hammer with Jewish Lives. But he's true to his religion - and / honor him for that!" 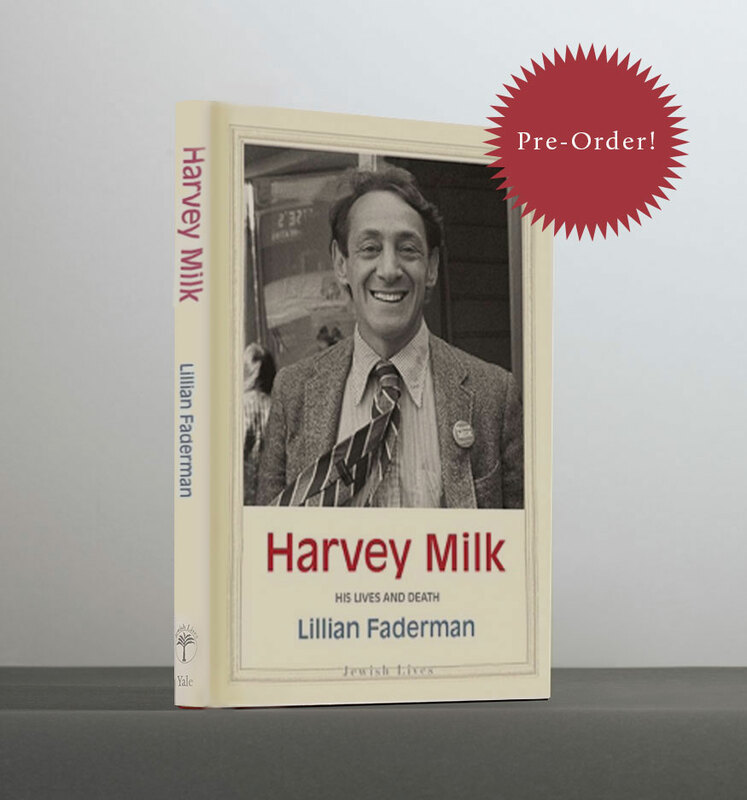 Pre-order your copy of the latest addition to the award-winning Jewish Lives series, Harvey Milk: His Lives and Death by distinguished LGBT scholar Lillian Faderman. Brooklyn born singer, songwriter, actress, and filmmaker who has become a cultural icon. To achieve her success, Streisand had to overcome tremendous odds, not the least of which was her Jewishness. "I think of myself as a girl from Brooklyn." The commonly held view of Albert Einstein is of an eccentric genius for whom the pursuit of science was everything. But in actuality, the brilliant innovator was a man of his times, always politically engaged and driven by strong moral principles. Learn more about the scientific superstar in the Jewish Lives biography, Einstein: His Space and Times.